Our Commitment to People. Our Community. Our Culture. "People First" doesn't just drive the delivery of our customer service or the design of our cloud-based human resources solution. It's also a statement about our workplace life. At Ultimate Software, we take care of our employees, and we know it will show in the way they take care of you. There are thousands of us committed to developing trendsetting human capital management solutions, and passionate about providing the highest levels of customer service. The Ultimate environment is a culture defined by the way we think, work, and behave—treating coworkers, customers, vendors, and the community with honesty and respect. Walk through the halls of our offices at any time and you’ll see something that’s often lacking in corporate America today: happy, smiling employees. At Ultimate, we value our workforce, and are committed to maintaining a culture built on innovation, trust, respect, and care for all people. It’s why we’re recognized as one of Fortune’s 100 Best Companies to Work For year after year. We take great pride in our people and in their accomplishments, foster their continued professional growth, and encourage their ideas. All our departments have tenured people who know our HR solutions, believe in our mission, and understand our vision. Our headquarters is in Weston, Florida. Perhaps it’s the sun or sea air that encourages Ultimate people to work with intensity, energy, and commitment. More likely, it is a genuine determination to deliver to our customers better HR and payroll cloud solutions than anyone else. For more information on Ultimate's commitment to the community, please visit Ultimate Software: Giving Back. Ultimate Software’s first Community of Interest, was founded in May of 2014. PRIDEUS is Ultimate’s lesbian, gay, bisexual, transgender, queer/questioning, intersex, and ally (LGBTQIA) organization. With more than 170 members today, PRIDEUS stands for: People Respecting Individual Differences Empower Ultimate Software. The mission of the community is to ensure that everyone feels safe, welcome, and comfortable bringing their whole selves to work, while volunteering to help make the world a better place for everyone. Ultimate and PRIDEUS also supports the organizations below through charitable donations and employee volunteer events. Our second Community of Interest is for women at all levels of the organization. The Women in Leadership community is dedicated to helping women achieve their maximum potential and allows them to discuss their goals, ask questions, and collaborate with one another on how they can positively impact future female leaders at work, at school, and in the community. Women comprise about half of our total workforce and hold nearly 50% of front-line manager positions at Ultimate. UltiVETS is a community of interest for military veterans at Ultimate, their friends and families, and for fellow employees to express their appreciation for the service of our nation’s veterans. Ultimate proudly hires veterans from every military branch to contribute in all areas of the organization. We are more than 100 veterans strong and growing! Their service gives us an incredible sense of pride, and the leadership and expertise our UltiVETS hold in their respective fields helps make Ultimate stronger. Established in 2017, UltiHOPE is our Community of Interest formed to bring cancer patients, survivors, and caregivers together to empower one another to continue fighting and thriving through cancer with HOPE. At Ultimate, HOPE means to Help provide a support network through mentoring; Offer direction on resources and tools available to ease the journey with cancer; Provide fundraising initiatives for the research and treatment of cancer; Educate to help in the cancer journey. Ultimate’s fifth companywide Community of Interest, Women in Technology, formed in 2019. The Women in Technology (WIT) committee promotes the importance of diversity and inclusion to aid in the success of Ultimate, with a focus on supporting women in technology. WIT meet its vision through a variety of product and technology educational programs, networking, community involvement, and mentoring opportunities. Our company culture makes us one-of-a-kind. It means putting people first every day—from our longest-serving employee to our newest customer. People First. Our Philosophy… and Our Blog! 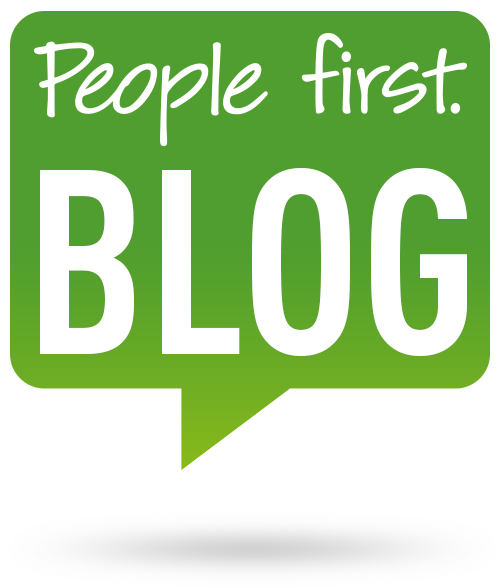 Read and subscribe to our People First blog, a must read for HR thought leadership and best practices. Updated weekly!